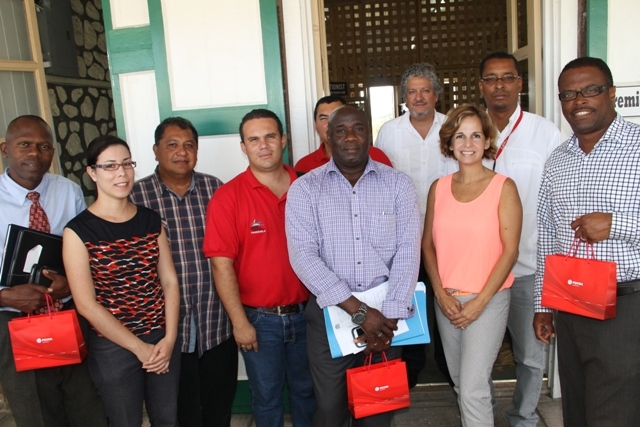 NIA CHARLESTOWN NEVIS (June 09, 2015) — An eight-member delegation led by resident Venezuelan Ambassador to St. Kitts and Nevis His Excellency Ròmulo Henriquez Gonzàlez visited Nevis on June 04, 2015, to explore the possibility of installing solar panels and energy saving bulbs at the Charlestown and Gingerland Secondary Schools. The team also met and held discussions with Acting Premier of Nevis Hon. Mark Brantley and Minister responsible for Renewable Energy Hon. Alexis Jeffers at the Cabinet Room, Bath Hotel. 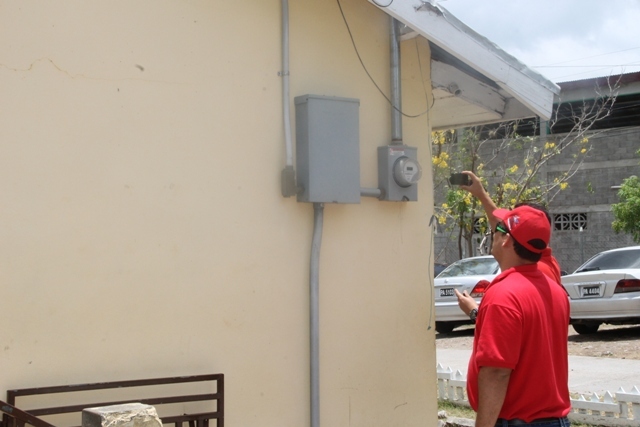 Also present at the meeting was Acting General Manager of the Nevis Electricity Company Ltd. Jervan Swanston. 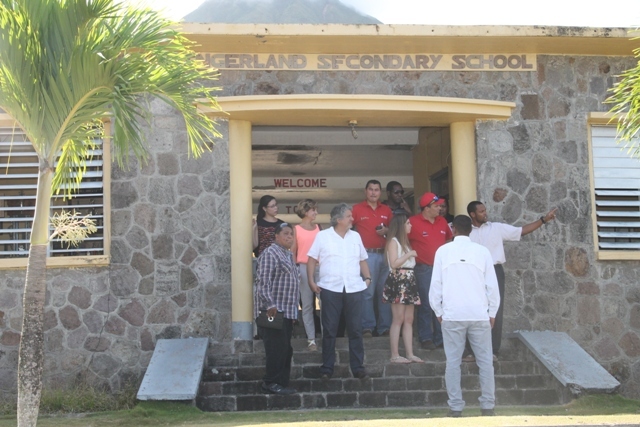 The group was accompanied to the schools by Permanent Secretary in the Ministry of Education Mr. Wakely Daniel.